Sentiment towards the Nigerian economy was elevated on Friday, after the nation finally signed a bilateral currency swap agreement with China. 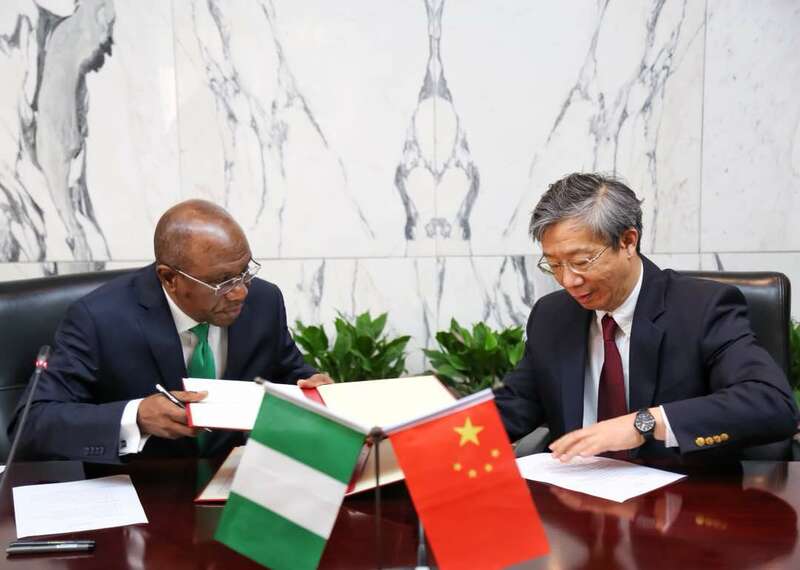 The transaction, which is valued at 16 billion Renminbi, aims to provide sufficient liquidity to Nigerian and Chinese industrialists. This move will not only improve the speed, but also the convenience of transactions between both nations. There is a possibility that the Naira will strengthen from the currency swap deal, as the demand for Dollar drops. Asian stock markets fell while the Japanese Yen held steady, as investors closely monitored tense trade talks between the United States and China, in Beijing. The chances of a breakthrough trade deal from the two-day meeting are highly unlikely. However, the talks could be a positive step for the two nations to avoid a potential trade war. Although it is difficult to predict the outcome of the trade meetings, continual talks and negotiations between the Trump administration officials and Chinese officials may ease tensions. Any signs of a possible breakdown in negotiations between the US and China can weigh on risk sentiment, consequently punishing global stocks. Will NFP push the dollar higher? It has certainly been another incredibly positive trading week for the Dollar, which has rallied to its highest level this year, moving above 92.80. Friday’s main risk event will be the monthly US jobs report for April which should offer fresh insight into the health of the labour market. With inflation expectations rising and strong economic data boosting sentiment, today’s NFP report will be in sharp focus. Markets expect the US economy to have added 195,000 jobs in April, up from 103,000 in March, while unemployment is predicted to drop to 4.0 percent from 4.1 percent. While the headline NFP figures and unemployment rate are both of great importance, much attention will be directed towards wage growth. Any signs of accelerating wage growth will suggest that inflationary pressures are building, ultimately reinforcing expectations of a rate hike in June. Looking at the technical picture, the Dollar Index is firmly bullish on the daily charts. Although prices retreated from near 2018 highs on Thursday, this has less to do with a change of sentiment towards the Dollar, and more to do with investors profit taking. The Dollar Index trades firmly above the 200 Daily Simple Moving Average, while the MACD has crossed to the upside. Bulls remain supported above the 92.00 level with 93.00 acting as a key level of interest. Alternatively, sustained weakness below 92.50 could invite a decline back towards 92.00. Gold prices were flat during early trading on Friday as investors positioned themselves ahead of the anticipated US jobs data release. Price action suggests that Gold bulls and bears have been engaged in a tug of war since the start of the trading year, with support at $1300 and resistance at $1360. While geopolitical tensions and overall uncertainty supported bulls, bears have received constant inspiration from US rate hike expectations. With prices sinking close to the $1300 support level this week amid an aggressively appreciating Dollar, could the tug of war be coming to an end? Gold bears may be offered an opportunity to attack and conquer the $1300 level today, if the NFP data results exceed market expectations. Looking at the technical picture, the yellow metal is under pressure on the daily charts. Previous support around $1324 could transform into a dynamic resistance that encourages a decline towards $1300 and $1260, respectively.